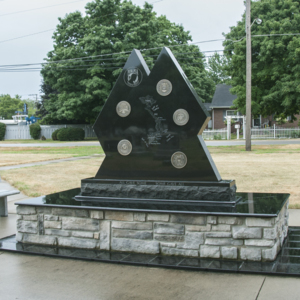 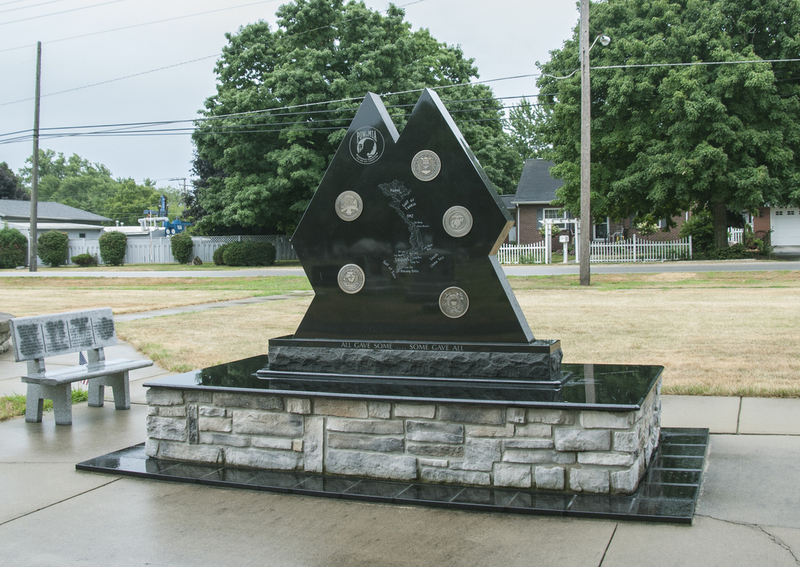 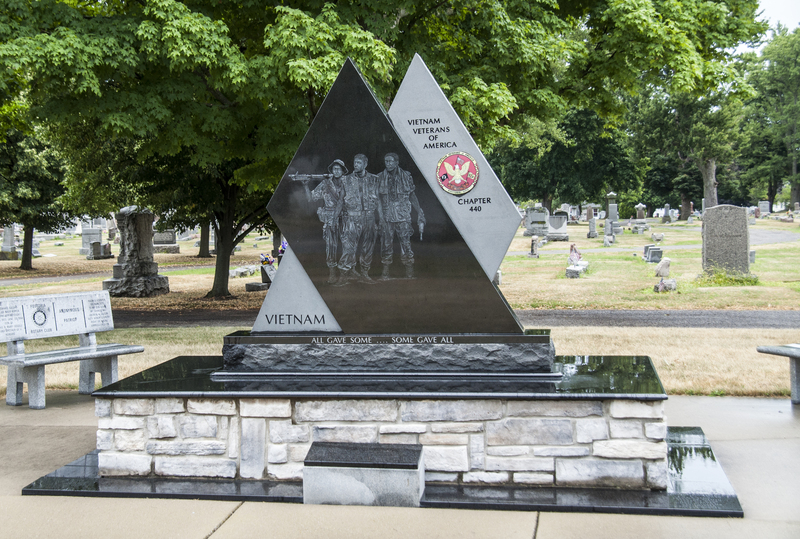 This memorial features a stone parallelograms diagonally intersecting to create a stepped abstract design with words and an emblem on the recessed part and an etching on the front most part. 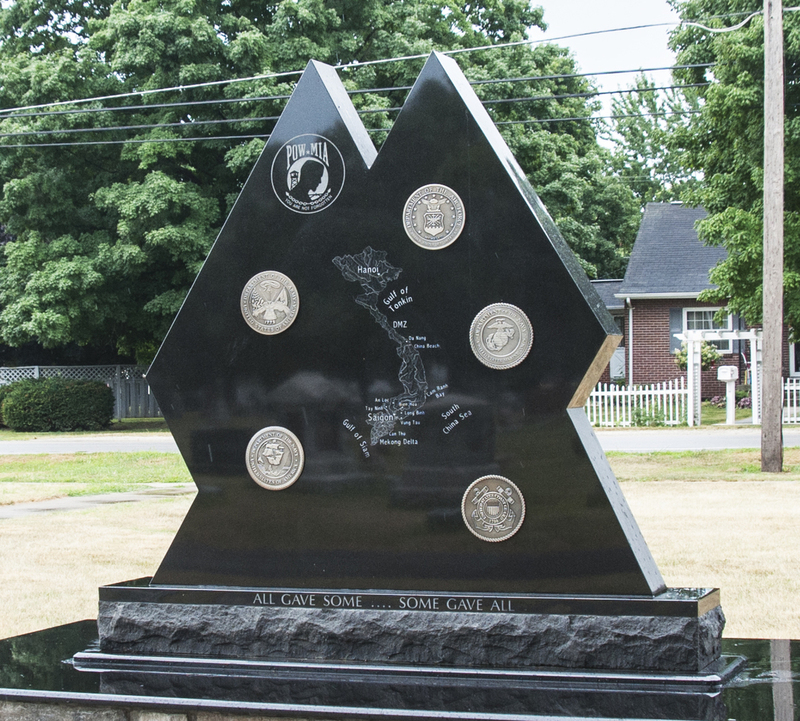 The writing says: Vietnam Veterans of America Chapter 440; around the base it says All Gave Some... Some Gave All. 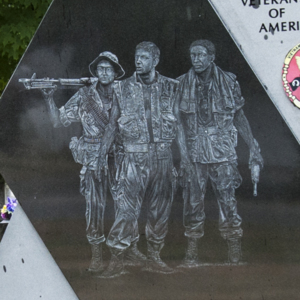 The front etching depicts three U.S. Vietnam soldiers looking off into the distance. 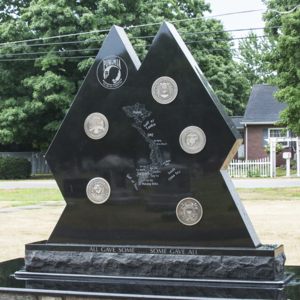 On the back there is an etching of a simple map of Vietnam, several military department emblems (Air Force, Marines, Navy, Army, and Coast Guard), and a POW • MIA logo. 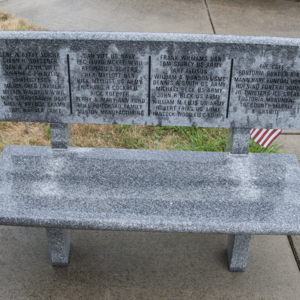 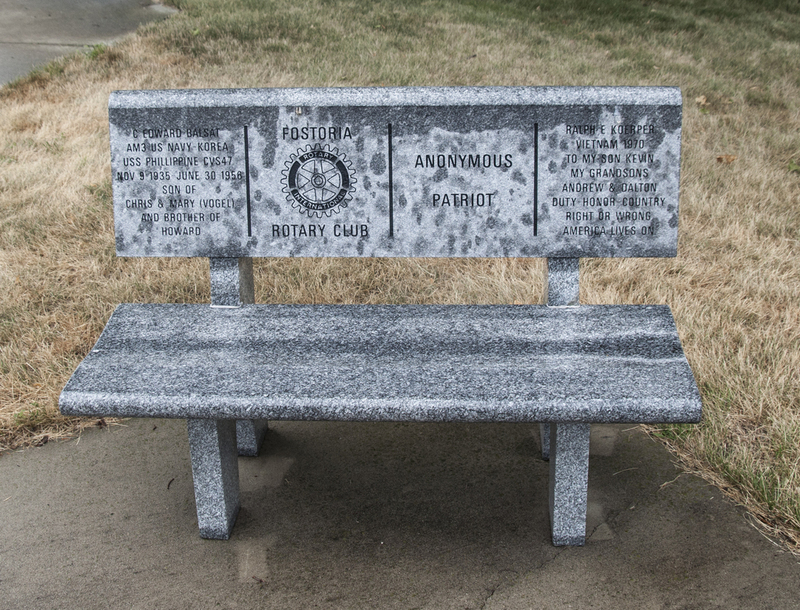 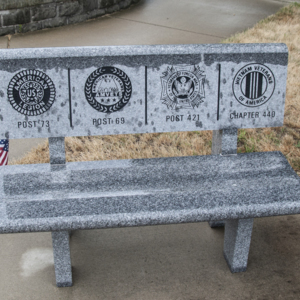 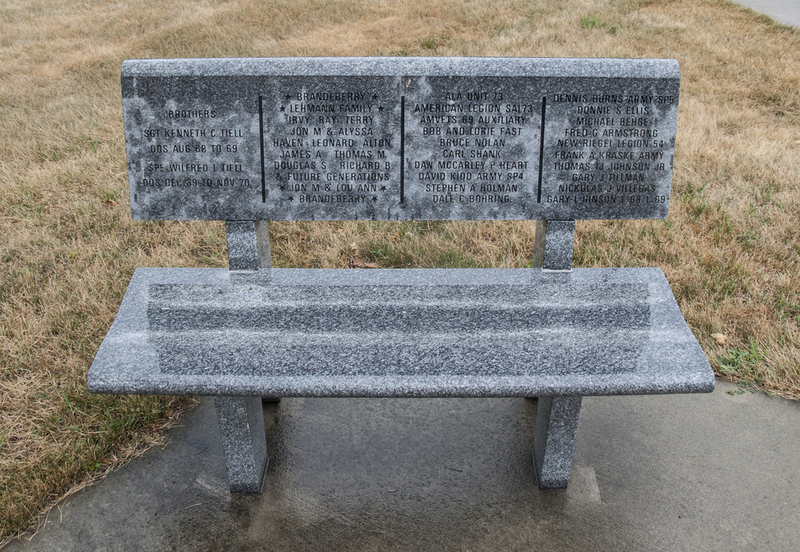 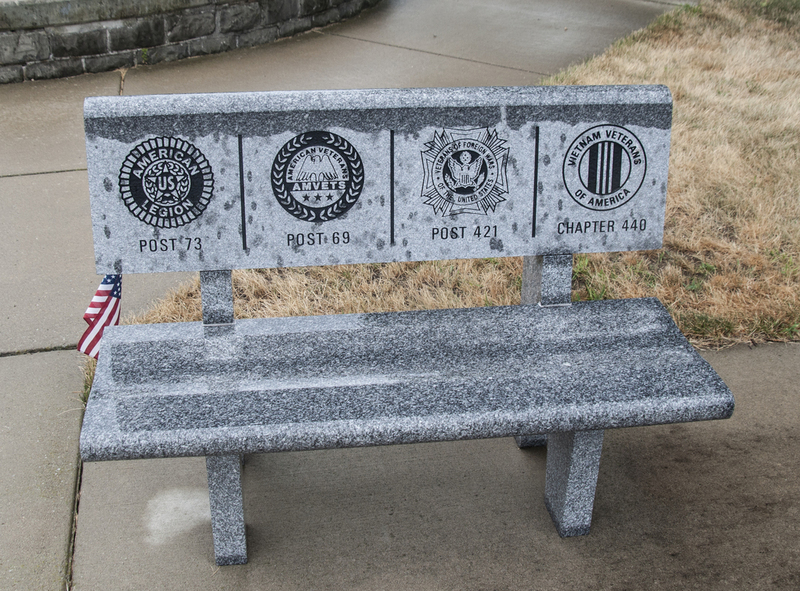 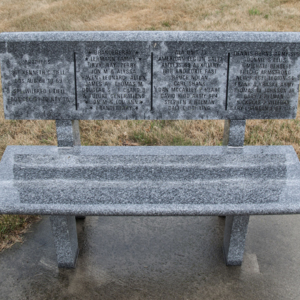 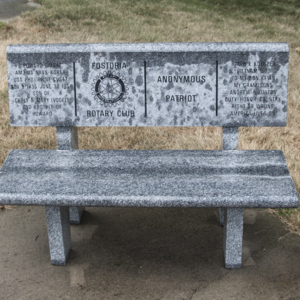 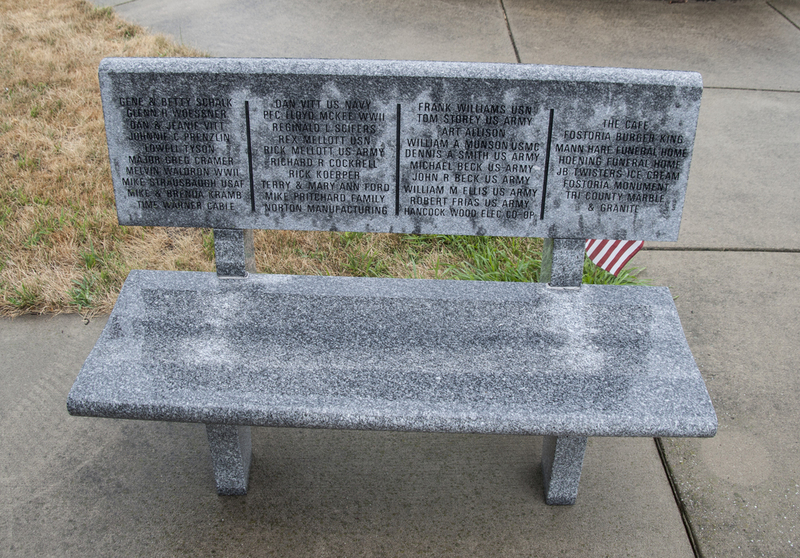 All around the sculpture there are four benches that have the various donors carved into the back rest of each bench. 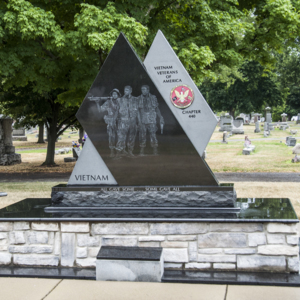 : “Vietnam Veterans of America Memorial,” Ohio Outdoor Sculpture Inventory, accessed April 18, 2019, http://oosi.sculpturecenter.org/items/show/1554.